obsessed with those baggy pants..love the color scheme as usual! Love the color combo Veronica ! Gorgeous look ! Gorgeous color blocking! I love this top and that jacket together. And of course, the mirrored shades. Awesome. MONDRIAN style! you an real artist! 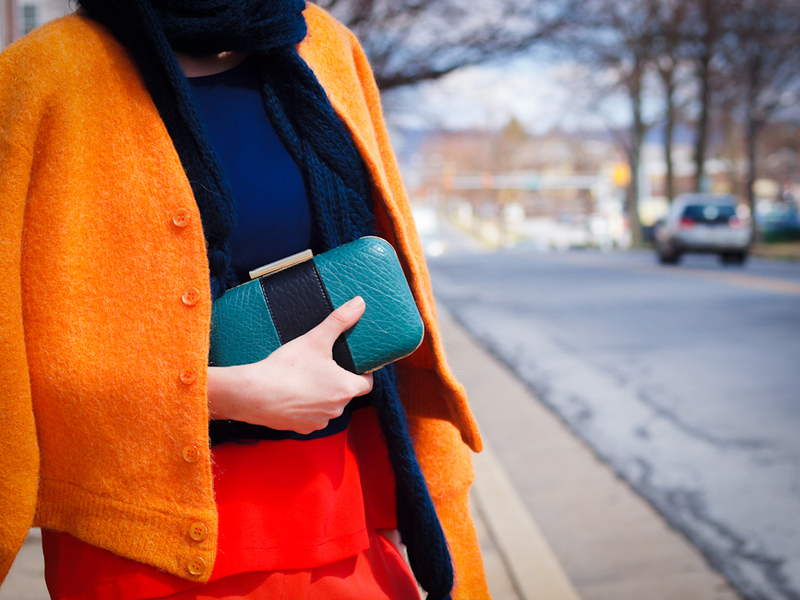 youre basically the queen of color blocking! I LOVE the colour blocking in this outfit! I love how you combine all types of colours in all of your outfits, I think that’s is a dificult job! Gorgeous pants!! Gosh… I love them! the color blocking here looks so fresh and exciting, love this! i love the cardigan..it has such a nice colour! What an amazing outfit!! The colors are so improbable together, but it match perfectly! love all your outfits because they are always full of color! Really lovely colors – I love the combination of pieces and fabrics, it’s such a great look! Pulsing orange giving an entire new level of awesomeness on your perfectly color blocked ensemble!